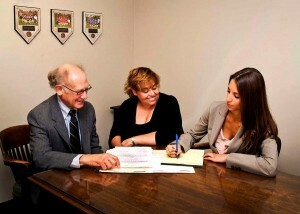 When it is time to select a Connecticut residential real estate closing attorney to help you with your closing it is important to find an attorney who you can rely on to promptly respond to you, advocate for you, and explain necessary steps of the process to you throughout the closing process. We enjoy helping our clients buy, sell, and refinances real estate in Connecticut. Whether you are buying a home, selling a home, or refinancing your existing mortgage, the transaction is a big deal with a lot at stake. You need a legal team you can count on to give prompt, clear, and careful responses to all communications from you, your lender, your real estate agent, and anyone else involved in the transaction. Buying real estate in Connecticut: Buying a home is a big investment. It is an exciting time, but, suddenly you need to learn new vocabulary – words like “escrow,” “closing costs,” “inspection contingencies,” “mortgage contingencies,” start surfacing, and the purchase can become stressful and overwhelming. We know, from experience, you will have many questions that require quick responses. You can count on us to give them! We are available to provide prompt, clear, and practical answers and solutions. We will explain what is happening, tell you what to expect, protect your interests, and keep things moving timely and smoothly. Selling real estate in Connecticut: While the motivating factors to sell the home may vary, the importance of protecting the value of that asset and assuring that the sale goes smoothly is critical. We understand that. We will be on your side to make sure it happens. Refinancing real estate in Connecticut: Refinancing the mortgage on your home may be the right move. It may allow you to lower your monthly mortgage payment, raise cash, or shorten your mortgage term. We work closely with you and your bank or mortgage broker to explain what to expect, make sure the complex documents are carefully and correctly prepared, and keep the process moving quickly and as hassle free as possible. Floman DePaola, LLC’s closing process has been reviewed and approved as a registered agent by Secure Settlements for compliance with their best closing practices, data compliance, and security procedures.